The meaning of the word “fitness” can vary from person to person. For an employee who’s just getting back on their journey to health, fitness might look like taking the stairs instead of the elevator. For those who are veterans of a healthy lifestyle, it may mean working out every day of the week. This spectrum can cause frustration for many Wellness Coordinators/HR Directors, who are responsible for their employees’ health and wellness. The secret to success? Meet your employees where they are, starting with these five easy fitness-focused tips for the office. Not only can you burn calories three times as fast with stairs as you would with normal walking, you can also have a little fun with it. Stairs that have encouraging phrases on them cost little to the employer, but they can have a huge impact on whether or not an employee opts to actually use them. Many employers and select hotels are buying into these stair makeovers to encourage people to take the stairs. Slap some lipstick on a pig and it’s still a pig, but slap some words of encouragement on a staircase, and it’s a new fitness avenue for employees. Voila! Certainly, by now, the news that sitting is the new smoking has been brought to your attention. Think of a typical work day and how many hours an employee might clock sitting down at their desk, day after day. Over time, that can start to have a massive, negative impact on a person’s health. To combat that, facilitate a culture that encourages employees to stand up, at least for 5 minutes every hour. Whether it be a friendly verbal reminder or a team challenge, make sure employees aren’t chained to their desks. Humans are social beings - the popularity of social media is a good example of that. So, why not make fitness a social experience? Not only should you be encouraging individual fitness, you should be supporting fitness with friends. When coworkers workout together, they have higher productivity levels, stronger camaraderie, and better overall health. Not to mention, people are much more accountable to their fitness commitments when they invite someone to join their journey. In fact, 95% of individuals who embarked on their fitness journey with a peer stuck with it compared to 76% who went it alone. 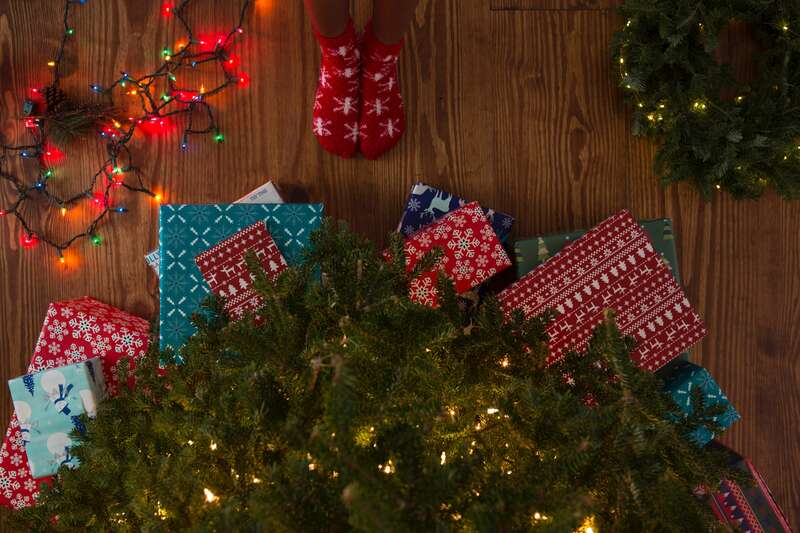 This is a two-for-one tip; a BOGO, if you will (you’re welcome). One of the most meaningful impacts you can have on someone’s fitness endeavors is simply encouraging and acknowledging their efforts. This doesn’t have to mean rewards or incentives, this could simply mean kind words - being their cheerleader. Create an environment wherein acknowledgment is common, and watch positive behavior repeat because of positive reinforcement. What better way to drive positive behavior than to be a leader yourself? If you start living a more active lifestyle, others will follow suit. Stop by your co-worker’s cubicle and invite them on a walk with you during lunch. Feel great about bettering your health and the health of others! Imagine eating pizza every day. Sure, the first couple of days are awesome, but by the second week, (for my pizza fanatics, let’s say a month) you can’t force yourself to eat the same thing anymore. Fitness is the same. Going to the gym and hopping on the treadmill for thirty minutes every day? Not ideal. Trying different workouts like yoga, intensity training, boxing etc? Yes, please! Variety is the spice of life, especially when it comes to fitness. If you are offering on-site classes, make sure you aren’t just offering one style. No one wants to eat the same thing over and over again, just like no one wants to do the same exercise day in and day out. When it comes to finding facets of fitness in the workplace, you really can’t go wrong with the simple message of “Move”. 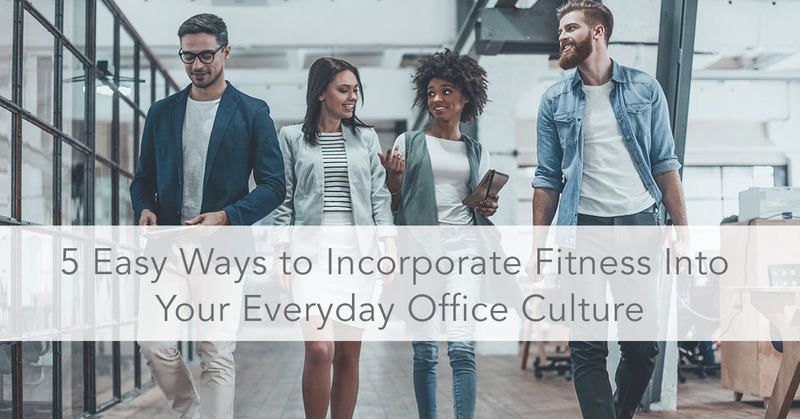 Encouraging employees to take the stairs, get up from their chairs, grab friends for workouts, offering words of encouragement, and embrace variety are all simple, effective ways to incorporate fitness into your everyday office culture.